One of the main things about me is I get extremely (I cannot stress this enough) attached to the books I read and the movies or TV shows I watch. When I fall in love with a story and its characters, they basically become real in my head…and, more importantly (or as my family would put it, disturbingly) in my heart. Having said that, it’s no surprise that I often find myself more engrossed on a book than on my real-life drama. I honestly think I’ve gotten sad and depressed over a book more than I have over real people and real problems. Another thing about me is that when it comes to death and dying, I become really sensitive. The thing about death that I find really devastating is the sudden loss of connection and companionship with the person who has passed. I never cry at romantic, mushy or over-sentimental moments. But show me a dog dying and I guarantee you’ll see tears. And if it’s a fictional dog that I’ve fallen in love with? Waterfalls. So I’ve decided to make a list of the fictional characters whose fictional deaths completely and utterly depressed me in hopeless hopes that I could bring them back to life (at least in my loopy little head of mine). I initially wanted to put Hachi instead of Parker, but then genius me realized that if Parker didn’t die, then Hachi would’ve been properly taken care of and would therefore live! I’d actually be saving two fictional characters! Are you starting to see the loony creature that is me? Honestly, I haven’t even watched the whole film because I couldn’t take it, knowing it was based on a true story. 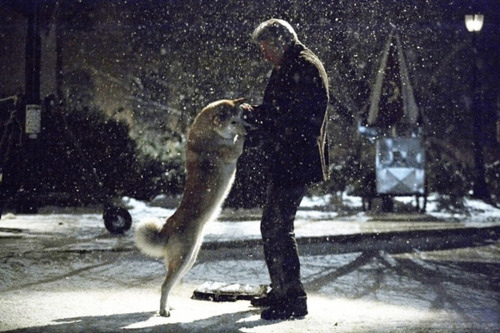 At the scene where Hachi returns to the train station at night after being with Parker’s wife and where it’s obvious he is about to die, I was already bawling my eyes out and had to skip to the part where the film is back to Ronnie in the classroom. Dogs, man. They can break my heart more painfully than any guy in real life can. 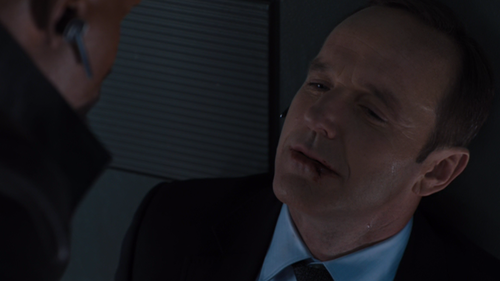 I went into watching The Avengers knowing people were going to die. That was a given. What wasn’t a given, however, and what I was definitely not prepared for was seeing one of my favorite Marvel characters die. I was so upset by it that I kind of got pissed at Maria Hill (Cobie Smulders) because I thought she should have bit the dust instead. Mean, I know. But, come on, it’s Phil! S.H.I.E.L.D. will never be the same again. This is probably the one no one else will give a crap about. When the credits started rolling, everyone I watched with was happy that the 3-hour film was finally over. And then there was me crying. I remember it was my first time watching a movie with my now ex-boyfriend who was still courting me then and he had absolutely no clue how to react. Obviously, I was embarrassed but I couldn’t help myself. King Kong didn’t do anything wrong! He was forcefully taken from his jungle home, was degraded into being this imprisoned animal for everyone else’s entertainment and was, in his own eyes, protecting the woman he loved. If anyone was to blame, it’s Carl Denham. This one seriously broke my heart, mostly because unlike most of the movies I’ve watched and books I’ve read, this one is the most realistic and closest to my heart. Why? 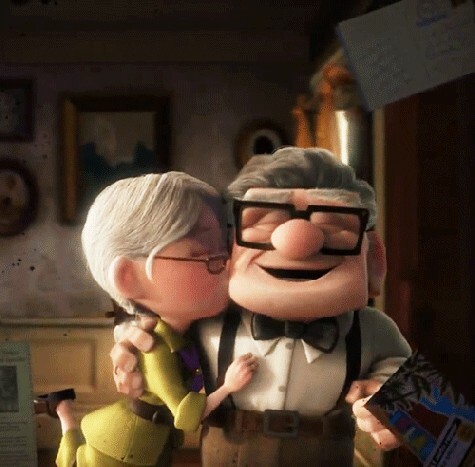 Because while I was watching the beginning scenes of Ellie and Carl, I just knew in my heart that they were the cartoon version of my grandparents. I promise you, take one look at my grandparents and you’d be thinking the same thing. Here’s a recent photo of them. Needless to say, when the scene took place, I was inconsolable. I couldn’t help but think of my grandparents and what would happen to either of them if…when the inevitable comes. And because just thinking about it depresses me all over again, I’m stopping here. I know he came back in Angel but since I wasn’t as emotionally invested in that series as I was with Buffy, it doesn’t count. The fact that it can be assumed that he dies again in the series finale does not help any. 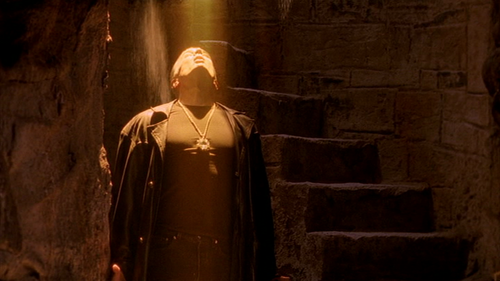 It took me weeks to get over Spike’s death the first time I finished the series, I was 13 years old then. This past May, I started watching the series again and finished the whole thing by mid-July. This time, it’s taken me months to get over that final scene; and I’m 22 years old. I’m not sure I’m entirely over it already since every now and then I find myself reading Buffy fan fiction wherein Buffy and Spike live happily every after. Kill off one character, I’m sad but I can manage. Kill off two characters, I’m devastated. But kill off each and every character? You’ve killed me and my heart a thousand times over. Hans Hubermann. Rosa Hubermann. Rudy Steiner. Tommy Muller. I loved each and every one of them for varying reasons. But their abrupt deaths, caused by the Himmel Street bombing, hit me the same way. The story took place during a world war so obviously someone had to die and Markus Zusak was kind enough to warn me earlier on who actually would but no amount of advanced warnings and preparations could save me from heartache. Then Liesel also dies a natural death at the end of the novel. Okay, so hers wasn’t tragic or sudden but death is death. I curled into a ball and sobbed for the rest of the week after reading that book – that spectacular and moving book that I would unhappily but ever so willingly cry over again and again. To be honest, Augustus Waters is the reason why I made this list in the first place. John Green created my perfect and ideal guy in Augustus Waters. No other author or writer has ever done that. Yes, I’ve fallen in love with a couple of fictional characters in films and literature before but it was because I loved their traits, characteristics and stories. I’ve never fallen in love with a character, particularly male characters, because I felt like I actually could honestly fall in love with them if they suddenly hopped out of a book or stepped out of the screen. Until I met, or rather read, Augustus Waters. And then John Green killed Augustus Waters and, in doing so, killed me. Figuratively, of course. My reaction to this death is different compared to the others on this list. Oh yes, I cried and sobbed like there was no tomorrow. But it didn’t last long. By the time I closed the book, my tears had already dried. But I was seriously and literally depressed. I can’t even begin to explain how broken my heart felt. I was like that for a week. I wasn’t crying anymore but I couldn’t talk about the book without going deeper into depression either. And I felt extremely lonely. Most of all, I really was pathetic. To be honest, I think his fictional death caused me more pain than the end of my 5-year relationship with my ex-boyfriend. No shame in admitting that. So which fictional characters whose fictional deaths hit you like a ton of bricks, a humongous elephant, a runaway train and a wrecking ball? Please tell me. I don’t want to feel like I’m in danger of going all coo-coo crazy. 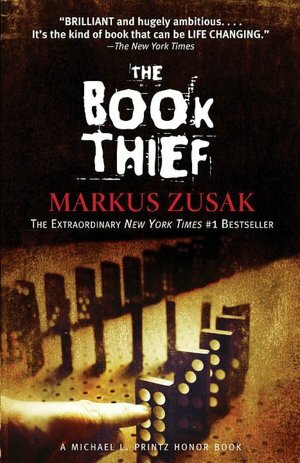 You should start reading The Book Thief! I promise you that book will break your heart into a million pieces BUT it will be soooo worth it. And I like to think that Markus Zusak (the author of The Book Thief) and John Green have a similar writing style. That’s on my loooong list of books to read! John Green just made a video recommending different books and he mentioned The Book Thief. He also said that Markus Zusak is so handsome it’s unfair and that he has “fantastic muscles.” Haha! I just saw the video! Thank you so much for telling me about it. It made my day! 🙂 And yes I would have to agree with him, Markus Zusak is pretty darn good-looking. I’m loving your blog and just going through some of your posts while it’s quiet at work. I don’t think your coo-coo crazy. I think you’re actually really sweet and a really clever idea to write about! And to answer your question: I was wide-eyed, jaw dropped and shocked when Dobby died in Harry Potter and The Deathly Hallows. And then to see it on the big screen just made me teary eyed! That elf was AMAZING! I can’t believe he died :(! 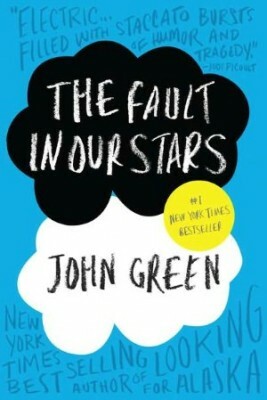 A few characters did die but it was the entire book that made me cry. Chinese Cinderella by Adeline Yen Mah. A heart breaking story of how she survives living with her stepmother and family in China during The Second World War. I read it in a day because it was so gripping and I just had to finish it and hope she got her happy ending. I really want to read the John Green books too! I’ve heard good things about them.